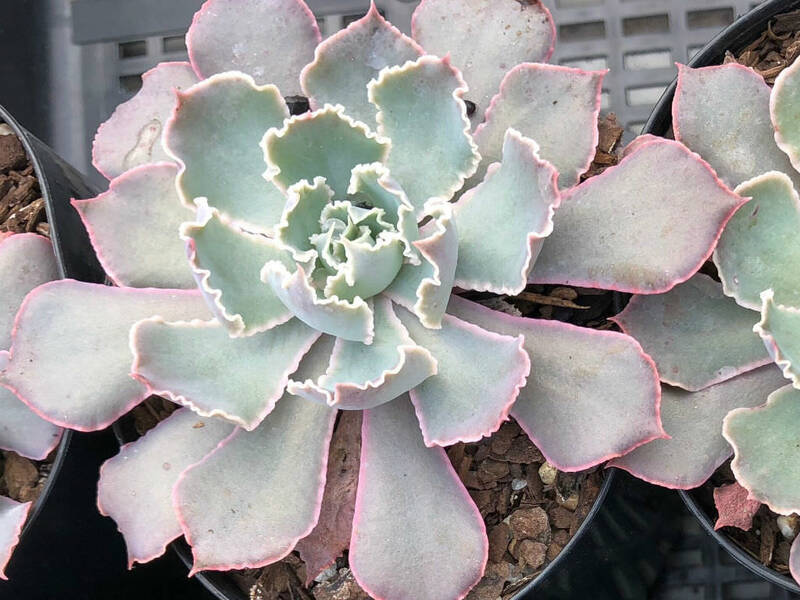 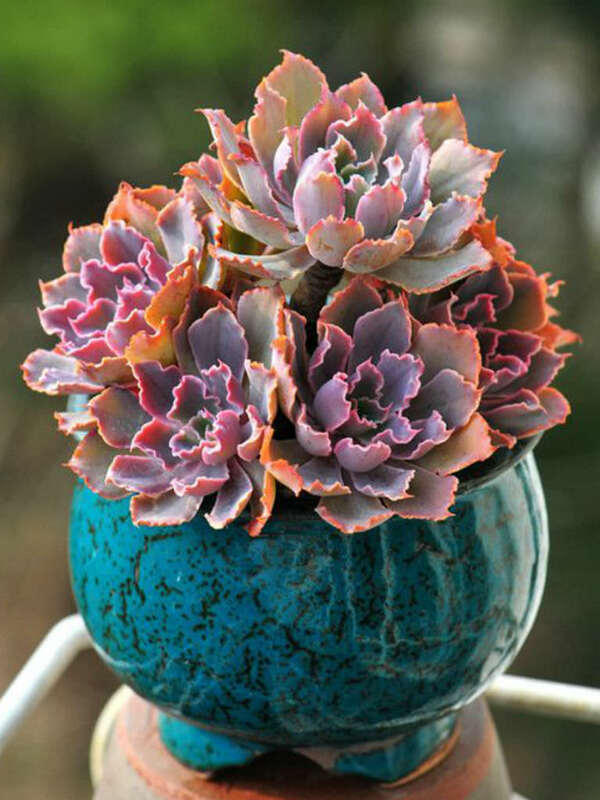 Echeveria shaviana ‘Pink Frills’ is a succulent plant up to 8 inches (20 cm) tall, that forms a central rosette up to 12 inches (30 cm) in diameter, surrounded by many offsets. 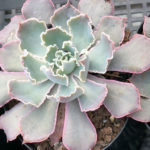 Becoming ever more beautiful as it ages, this plant transitions through a palette of mauve purple, silvery blue and green as the foliage matures. 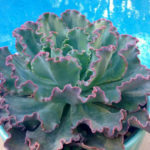 The leaves are fleshy, pointed, spoon-shaped and up to 5 inches (12.5 cm) long. 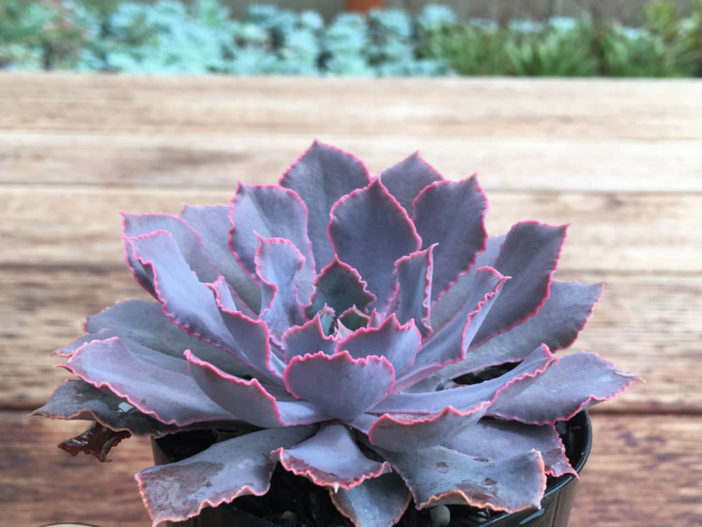 The new leaves in the center of the rosette are mauve purple when they emerge. 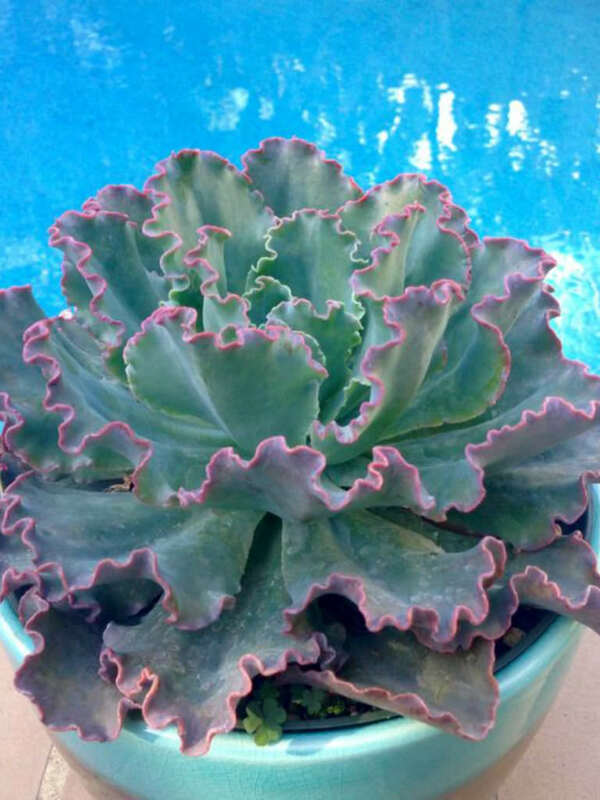 All of the leaves have bright pink edges that become frilly as they age. 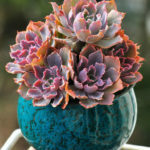 Orange-pink flowers are produced on narrow, arching wands in summer.